**Reduced Price For Quick Sale**Standing in a prominent position with OPEN VIEWS OVERLOOKING CLEETHORPES COUNTRY PARK. A rare opportunity to buy a four bedroom detached family home with a south facing rear garden. This attractive property is set in a large plot with driveway leading to a double garage and ample off street parking. The property has the benefit of UPVC double glazing, gas central heating, alarm system and Finnish Sauna. 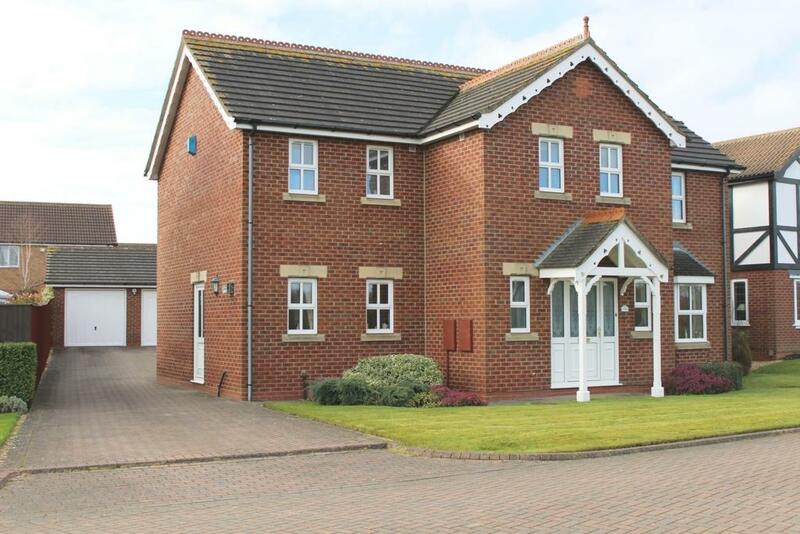 The accommodation comprises large entrance hallway, cloakroom, living room, dining room, kitchen, study, utility room. On the first floor there are 4 good size bedrooms, a family bathroom and ensuite bathroom and a sauna off the master bedroom. The property is well placed for all local amenities and is available for immediate possession with NO CHAIN.